Hi There! 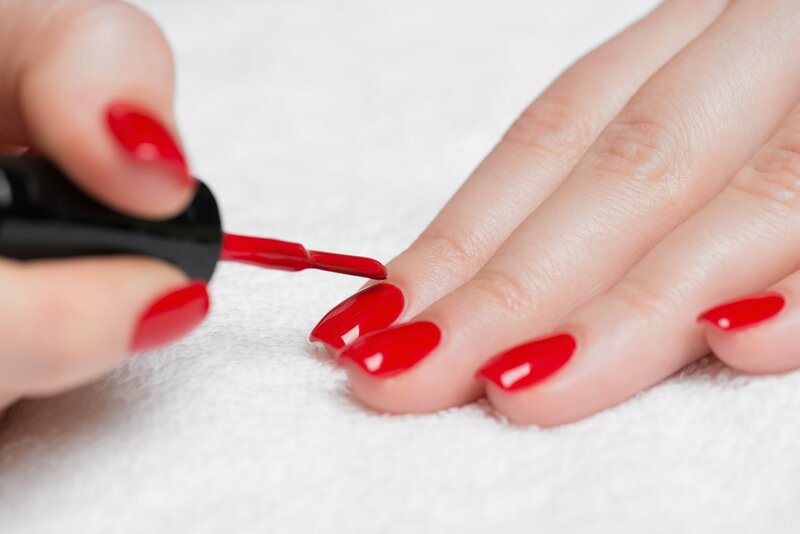 I know that we love going to a manicurist to get our nails done however, if you follow the following steps you get can get your own perfect at home manicure and pedicure. Today, I will go over the steps you can follow to correctly do your nails. Ever notice how nail technicians put polish remover on your nails before painting them, even if you didn’t have polish on them in the first place? That is because your nails have natural oils (usually transferred from your finger tips), which can prevent polish from adhering correctly. What is a quick fix for that? Just remember to swipe your nails with polish remover before breaking out your base coat. Then wash your hands with soap and water to get rid of any remaining film or oil. If you’re treating your nail file like a saw, you’re making your nails more susceptible to peeling and breakage. That is not good. Here’s the right way to even out your shape. “Gently run the file across the nail in one direction, beginning at the outside edge and pulling toward the center,” says celebrity manicurist Deborah Lippmann. If your nails are already on the thinner side, Lippmann recommends holding the file flush to your nail, and tilting it so you file from slightly underneath. “This allows you to see exactly what you’re doing and helps protect against over-filing,” she says. Contrary to popular belief, cuticle oils and cuticle removers are not one and the same—nor can they be used interchangeably. 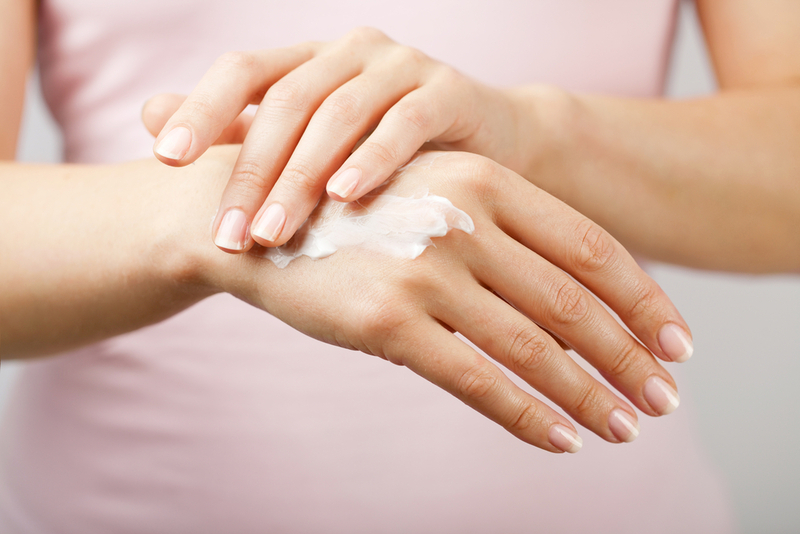 Oils help moisturize, while removers act like an exfoliating treatment for your nail beds. 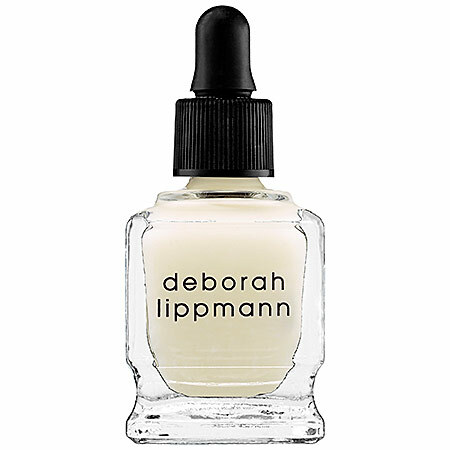 Start by massaging a cuticle treatment like Deborah Lippmann Cuticle Remover ($20, Sephora.com) into your cuticles, and gently push them back with an orange wood stick. “Not only does this help get the cuticle off the nail plate, but it also helps get rid of dead skin cells safely and effectively,” Lippmann says. Apply a cuticle oil after to add hydration. Buffing your nails is kind of like brushing your teeth—it’s brightening, it makes nails look more youthful, and it gets rid of ridges. Use a standard sponge buffing block, such as Sani-Block Fine/Super Fine — it’s soft, smooth, and not too abrasive. You can also use them on the sides of your fingers when they start to get dry and peel. I know it’s a given but don’t forget to apply the base coat. Not only does it protect your nails from stains, it also fills ridges and strengthens nails too. A bonus of all that: It’ll lead to a smoother polish application, meaning your manicure is less likely to chip. 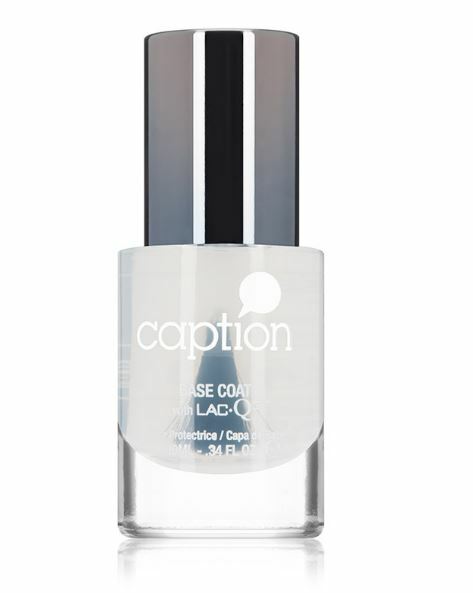 We love the Caption Polish Base Coat ($12, dermstore.com). While we are on the topic of base coat, when you use your glitter and textured nail polish there are now peel-off ones that work wonders for removing tough-to-get-off textures like glitter. They’re particularly game-changing if you want a little sparkle on the weekends, but can’t show up to the office on Monday with your nails looking like a Kesha concert. 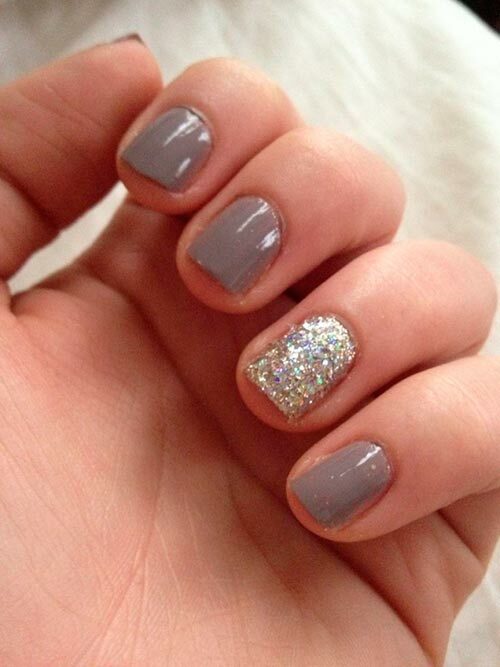 I particularly like the OPI Nail Polish Glitter of Base Coat (Jet.com for $7.90). I also recommend Sally Hansen Big Peel Off Base Coat ($5.99 Ulta.com). Too much polish takes forever to dry, and you’ll be left with a bumpy finish. Remember to load enough to polish in brush to cover the nail in one coat. Stripe the nail three times: once down the middle, once on each side, and then repeat until you get your desired opacity. Furthermore, if you are not waiting at least one or two minutes before applying another coat of color or a topcoat, you’re not giving the solvents in your polish enough time to evaporate. The longer you wait between coats, the more it’ll keep your color locked in. One thing you should not skip on is putting on top coat. If you don’t use a topcoat, your polish won’t last as long. 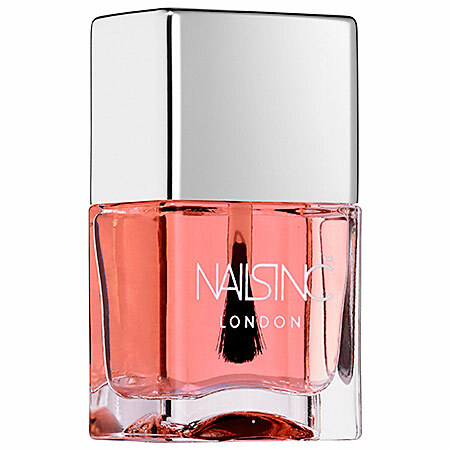 Glamour recommends Nails Inc. 45-Second Top Coat With Kensington Caviar ($15, sephora.com) for its sleek, shiny finish and quick-dry formula. However, don’t be sloppy with your top coat. You may think top coats are clear and hence, invisible. However, topcoats tighten as they dry, which is what can cause those little ridges if you don’t put it on properly. Another downside: Those areas will also end up chipping faster. Furthermore, nicks and chips tend to happen most at the tip of the nail, and yet, many women neglect to give that part a little extra topcoat love. Take a topcoat like Morgan Taylor Make It Last ($8.50, loxabeauty.com) and run a horizontal swipe of it over the bottom edge of your nail after you do your last coat. Let it dry, and repeat one more time. Want to give your manicure a salon finish? When you finish applying your topcoat, dip a thin cleanup brush in nail polish remover and lightly skim around the outer edge of the nail to remove any excess lacquer. This will help make the paint job look sharper and your manicure last longer. If you don’t own a striper brush , you can use a pointed cotton swab. 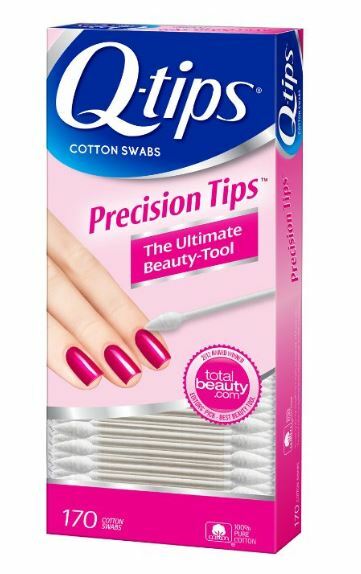 I use nail polish remover on a pointed Q-tip, such as Q-tips Cotton Swabs, Precision Tips 170 ct (Pack of 3) to clean up my edges and make sure there’s never a speck of polish on my cuticles. Don’t dip your hand in cold water or blow on them to dry your polish faster. Dipping your nail in cold water only changes the consistency of the polish, and blowing on them does nothing to speed up the process. You also risk tiny drops of saliva getting on your nail, which can create bubbles in the polish. What can you do to dry or polish? I recommend using a quick-dry spray because it’s designed to make polish oxidize from the inside out. If you smudge, there’s a fix for minor smudges, and it doesn’t require repainting your nails. Enter Kur Instant Smudge Fix by Londontown ($14, londontownusa.com)—or as we like to call it, the Mani Saver. If the smudge is light enough that you can’t see the nail through the polish, just slick one coat of this stuff over your whole nail, and let it dry for 30 seconds. Then reapply your topcoat. Your polish will look good as new. A major part of manicure maintenance is keeping your nails and cuticles hydrated, especially when you are using your hands often (i.e. washing dishes, doing laundry, constantly typing, etc.). Apply cuticle oil to your nails and cuticles every other day. This will restore moisture and also help prevent chipping and splitting. Hope this tips will help you give your a salon quality DYI manicure and pedicure. Please let me know what if you find these tips helpful. This entry was posted in Beauty, DIY beauty and tagged Correct Nail, Correct Nail Tips, DIY Beauty, DIY Nail Color by allaboutme31. Bookmark the permalink. Thank you for your comment. I have a very sensitive skin with a skin condition which makes acrylics hard on my skins. That’s why I love the peel off glitter base coat for glitter and textured nail polish. I found a huge help following these steps. Please let me know if the steps help you.